Today I took the Advanced I course at HART in St Ives. It was pouring rain in the last few days, including this morning. 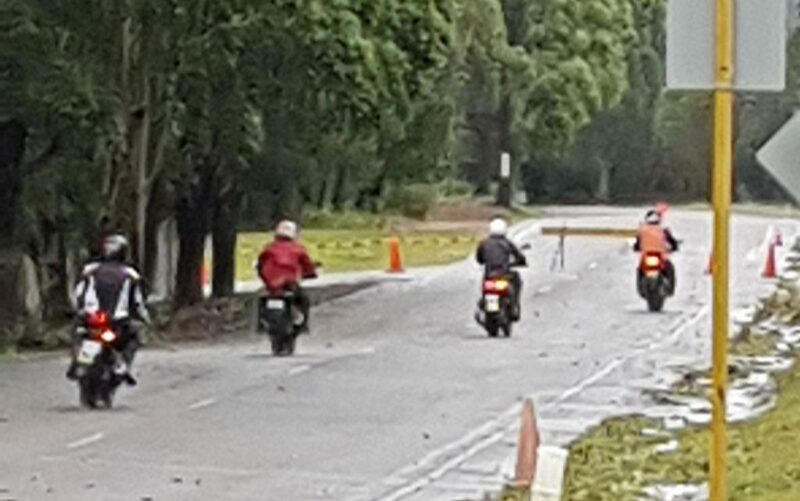 So riding to the course in the rain I had doubts if we will be able to get the bikes to the level an advanced course required. 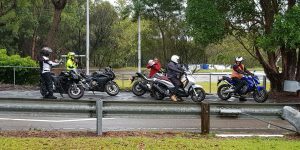 The course is called Handling Dynamics and according to the HART website it builds on existing riding experiences and focuses on Posture, Throttle Control, Cornering, and Braking. I have done a number of training courses at HART St ives and always found their instructors to be very good. Today was no exception. The instructor was professional, knowledgeable , patient and observant. There were only 4 of us in the group so there was plenty of personal guidance from the instructor. After going through a brief we checked the bikes and went on to learn and practice straight away. HART have their own track going through their property, with bends, hairpins and curves. The first half of the session was in the rain, but this had not the effect I thought it would have. I fact, it made practicing the new skills more interesting and challenging. The rain stopped in the 2nd half of the session and this gave us the opportunity to perform better in the curves. The session ended with the quick stops and the slow speed riding. All in all it felt like a good training session and I feel like I have learned a lot. The course runs for 3.5 hrs and at times I felt that a bit more practice wouldn’t hurt… Perhaps extending the course by another half hour could have helped. But all in all it is still a good advanced training course, which I highly recommend.